Growing unusual plants from seed has been our passion for many years. 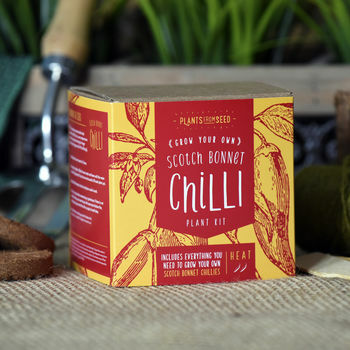 We decided back in 2011 to grow some super hot chilies and from that first crop the idea of opening Plants From Seed Ltd began. 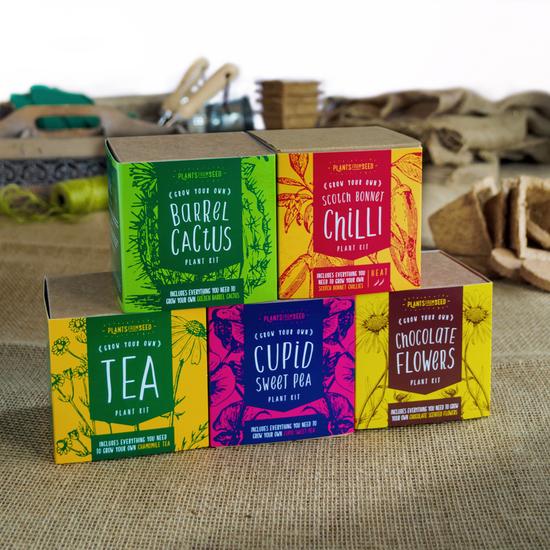 We now have over 40 grow your own plant kits available including the World's Hottest chill, flowers that smell like chocolate and the amazing venus fly trap. 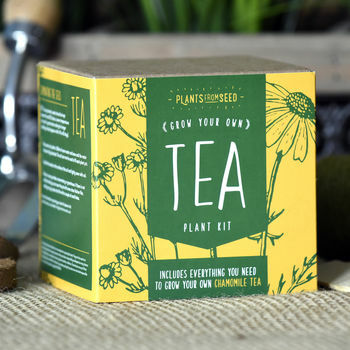 All our kits come with everything you need to grow these amazing plants at home. With over 100 plant kit combinations available, we’re sure you’ll find something fun to grow. 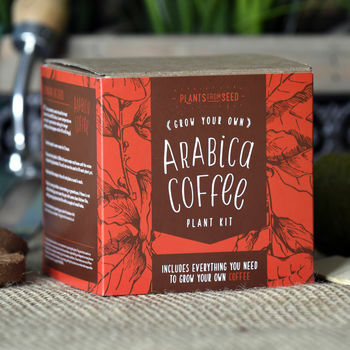 Our plant kits include: Arabica Coffee, Tea, Beer Hops, Venus Fly Trap, Red & White Grape, Chocolate Scented Flowers, Lemon, Red Habanero Chilli, Golden Barrel Cactus, Carolina Reaper Chilli, Scorpion Moruga Chilli, Sunflower, Sensitive Plant, Christmas Tree. "Great idea for a gift." "Came very quickly, was well packaged and does what it says on the tin. 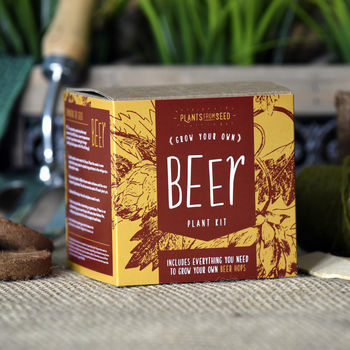 (or pot)"
"This is perfect for my brother-in-law who loves both beer and gardening." "Kit arrived quickly and with helpful instructions thank you!" Items are posted promply within 24 hours of being confirmed. Items are well packaged and every effort is made to guarantee your order arrives safely in a first class condition. We cannot guarantee delivery dates at peak times and must allow a number of days before refunds or resends can be processed. With our stanard FREE postage service this is 7 working days from the date specified on any dispatch note or product page. We will however do our very best to make sure all items arrive as quickly as possible. Full payment is required before any items can be shipped. All payments are to be made via Not On The High Street. Delivery: As standard we do not offer tracking on any item. The cost of tracking would triple the postage rate and make the shipping more expensive than the item purchased in most cases. We ship via Royal Mail 1st Class Airmail and once the item has left us, it's in the hands of the postal services. Whilst most items arrive on time we have had item take up to 30 days for the US and CANADA. Therefore we must allow 30 days before a refund can be made or a new product sent. For UK order this is 20 days and for EU orders 25 days. Opened By Customs: Although over 99% of our orders reach the buyer intact, we have had a very small number of items opened by customs and seeds removed. 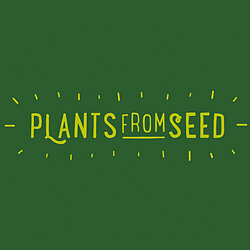 When this happens we will resend seeds in a plain envelope with 48 hrs of being notified. When contacting us please provide a copy of any customs form or report. Items Returned By Postal Services: If items are returned via a postal service due to not being collected, incorrect address provided by the buyer then the item can be resent but the buyer must pay the second postage charge. Items returned due to an inaccurate address type by ourselves will be resent free of charge. Refunds: You can return your item to us unopened and we will on receipt of the item offer you a refund. The box must be able to be resold. If the outer box is damaged we will deduct the replacement box from your refund. Any reports of items not being received must be reported with 30 days of the dispatch date for a replacement or the option of a refund. The germination and growing results are the purchasers responsibility and depend on many factors such as planting time, seed depth, watering, light and weather conditions. These factors are out of Plant From Seeds control and Plant From Seed or any company selling this product can not be held responsible for non germinating seeds. Sending replacement seeds: We will on request review any report of seeds not germinating and in certain situations offer to send more seeds. The cost of the P&P is to be covered by the buyer. Costs are 0.99 GBP for the UK, 1.49 GBP for EU and 1.89 GBP for the everywhere else. Delivery: As standard we do not offer tracking on any item. The cost of tracking would triple the postage rate and make the shipping more expensive than the item purchased in most cases. We ship via Royal Mail 1st Class Airmail and once the item has left us, it's in the hands of the postal services. Whilst most items arrive on time we have had item take up to 30 days for the US and CANADA. Therefore we must allow 30 days before a refund can be made or a new product sent. For UK order this is 20 days and for EU orders 25 days. Opened By Customs: Although over 99% of our orders reach the buyer intact, we have had a very small number of items opened by customs and seeds removed. When this happens we will resend seeds in a plain envelope with 48 hrs of being notified. When contacting us please provide a copy of any customs form or report. Items Returned By Postal Services: If items are returned via a postal service due to not being collected, incorrect address provided by the buyer then the item can be resent but the buyer must pay the second postage charge. Items returned due to an inaccurate address type by ourselves will be resent free of charge.